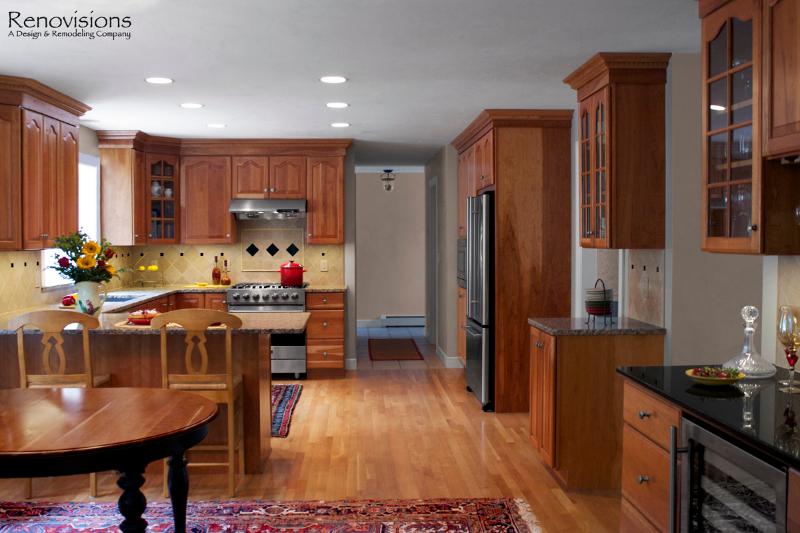 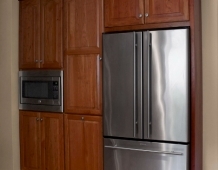 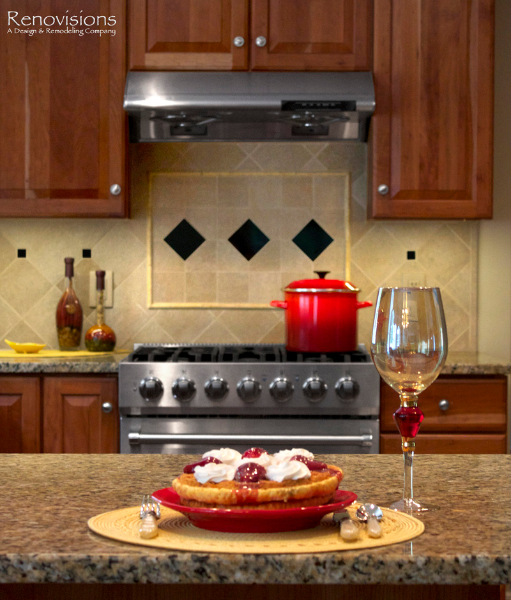 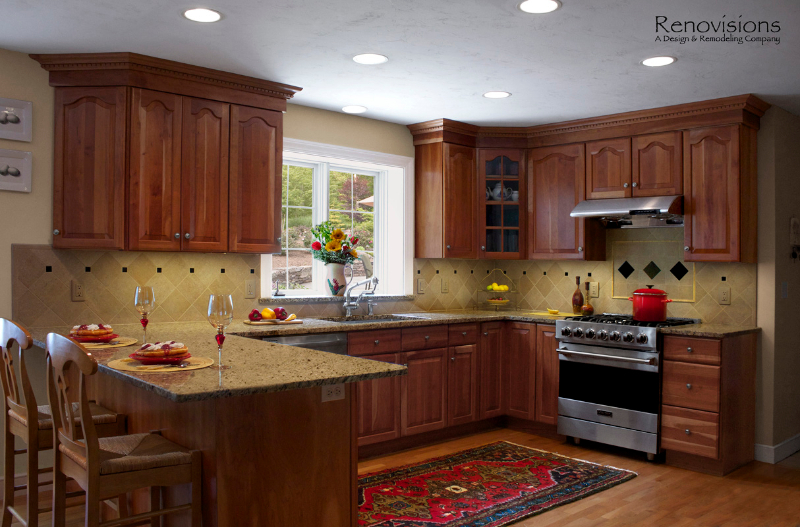 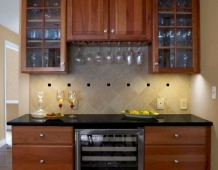 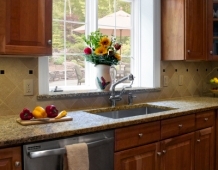 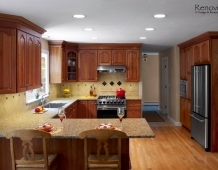 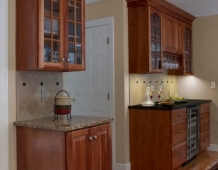 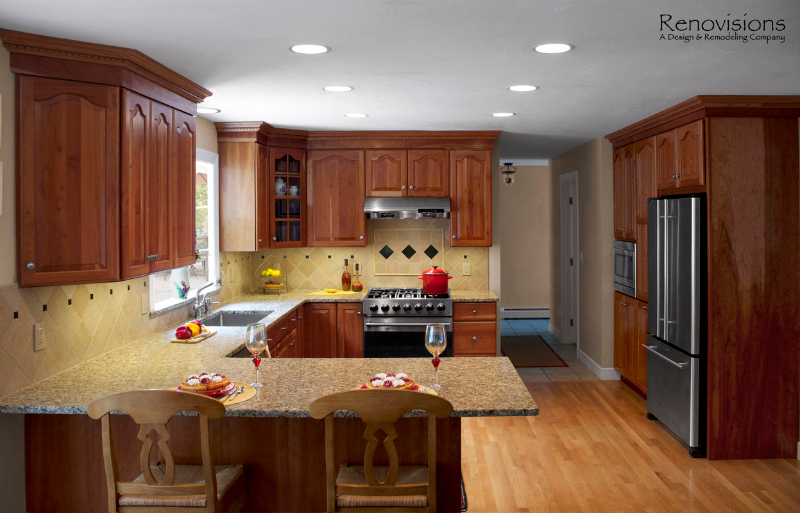 When envisioning their kitchen remodel, it was important to these homeowners that their existing cherry kitchen would be given a facelift in transitional style. 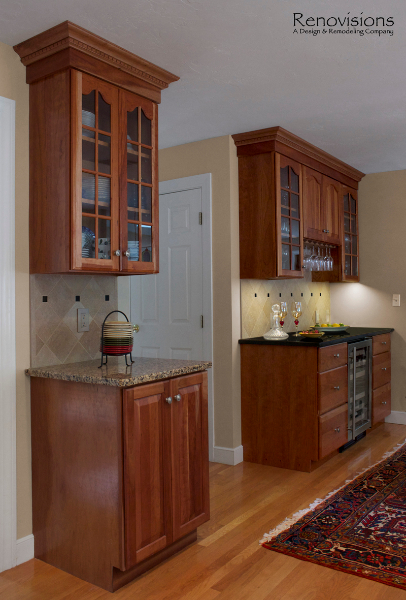 Cathy and Ed of Renovisions achieved the owners’ wishes while making sure the kitchen still looked like a natural extension to the rest of their traditional styled home. The update made room for added storage and appliance space. 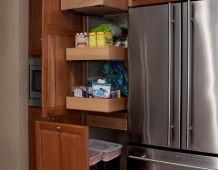 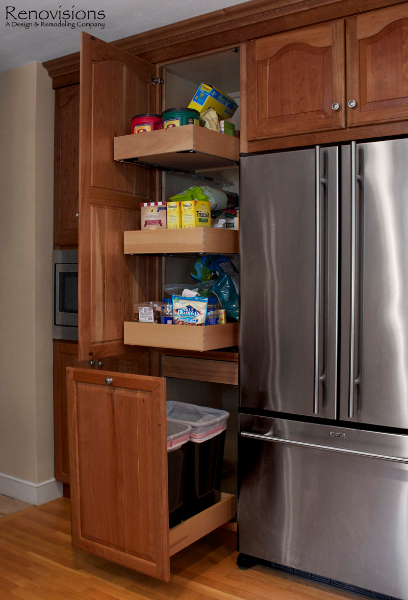 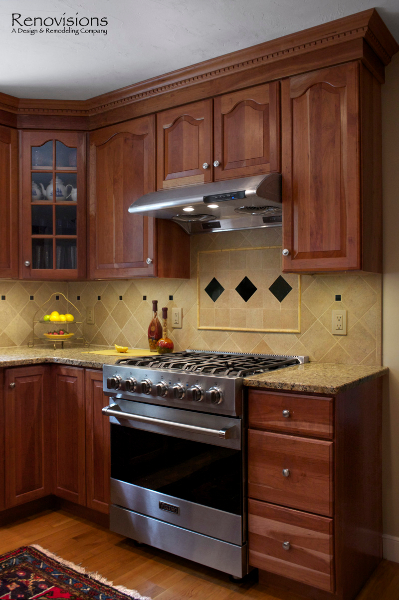 We installed 48” wide cabinetry in a natural cherry finish with roll-out shelves and space to accommodate a microwave and pull-out double trash receptacle. 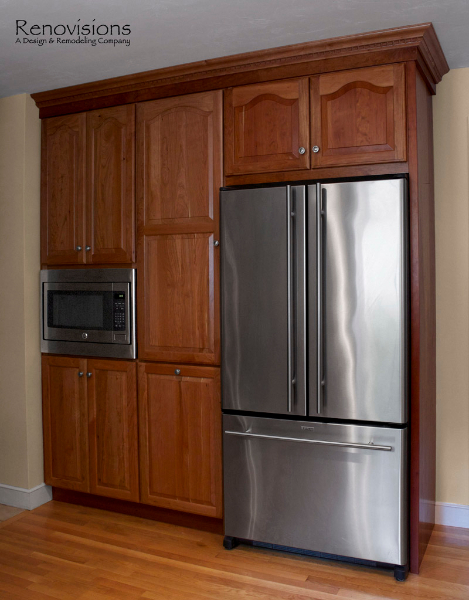 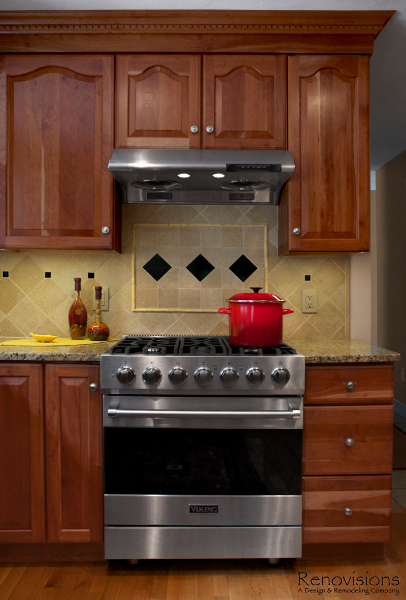 These custom built cherry cabinets and crown molding matched existing cabinets and were within easy reach of the newly installed stainless steel Viking gas range, Zephyr hood and GE hybrid dishwasher. 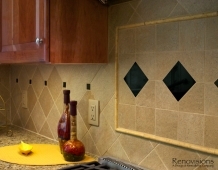 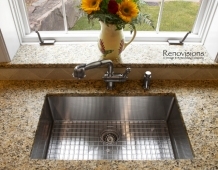 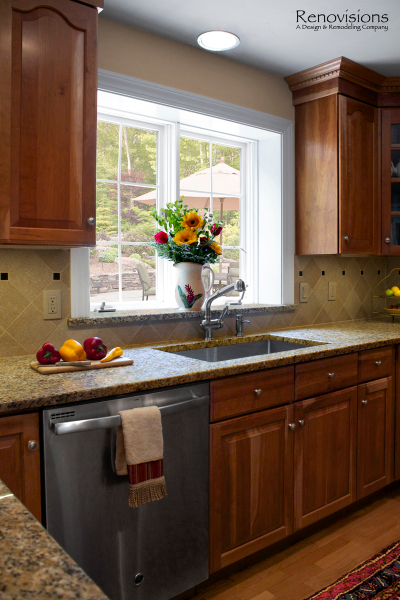 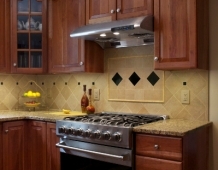 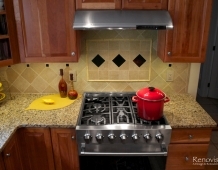 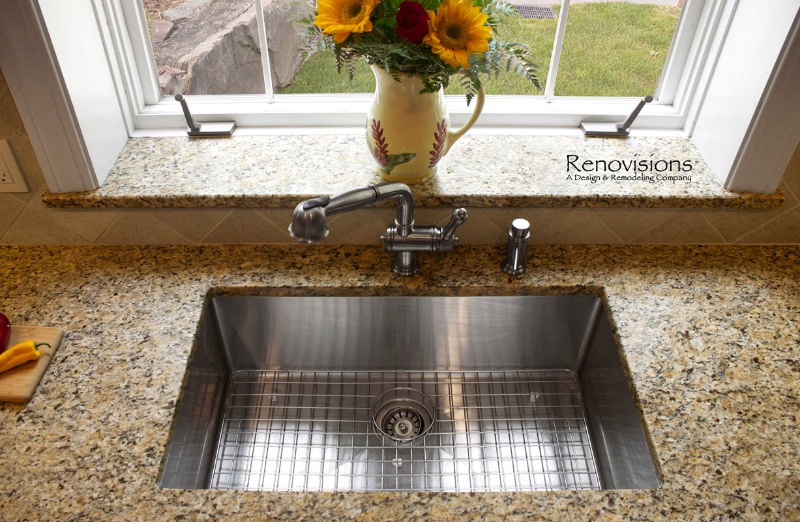 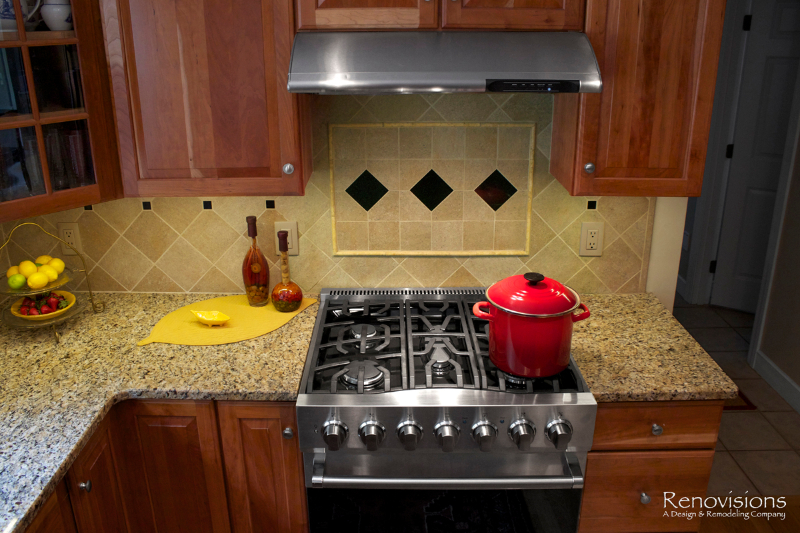 A large rectangular stainless steel sink was under-mounted on a beautiful new gold granite countertop. 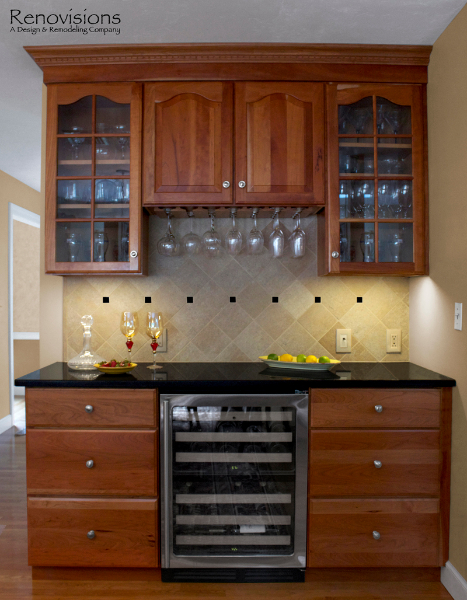 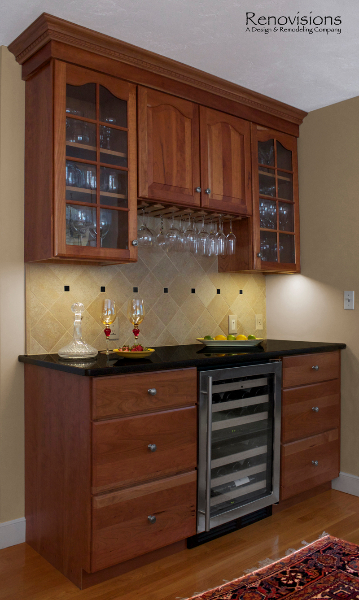 An absolute black granite countertop was installed on the new wine/beverage center featuring a U-Line dual-zone wine refrigerator, deep drawers for linens and stem ware holder in natural cherry finish. 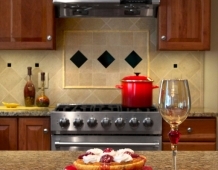 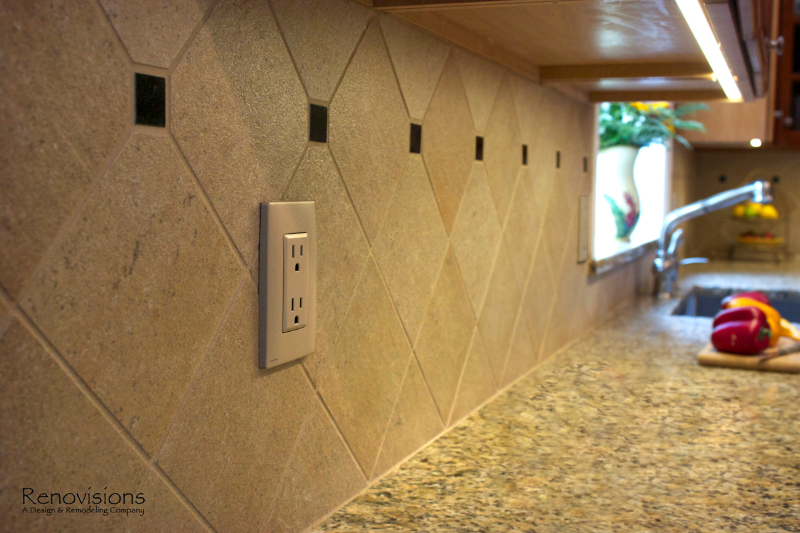 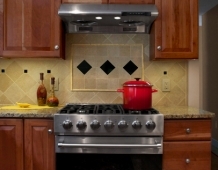 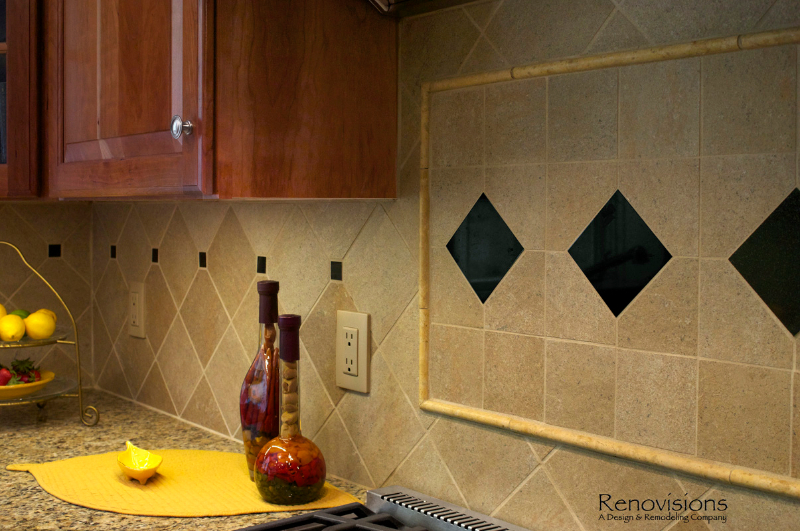 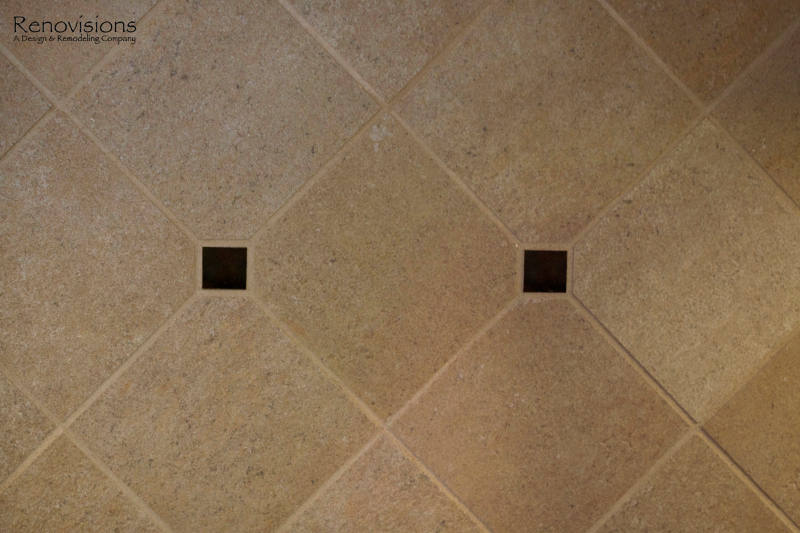 A standout feature is the beautifully tiled backsplash cut in with absolute black granite tile and an artful mix of granite/porcelain tile design over the new gas range. 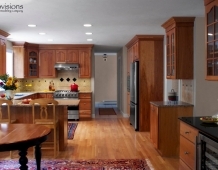 This draws attention to the newly remodeled space and brings together all the elements. 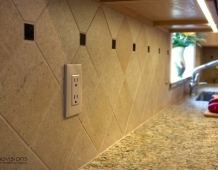 The homeowners were tired of the original builders brick surrounding their fireplace hearth and wanted to update to a more formal, elegant look. 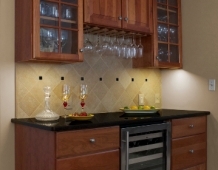 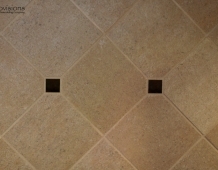 They chose a solid polished granite material in absolute black. 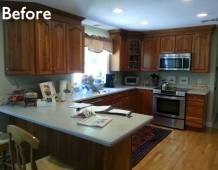 Outdated no longer, the design details in the kitchen and adjacent family room come together to create a formal yet warm and inviting ambiance with their wish fulfilled. 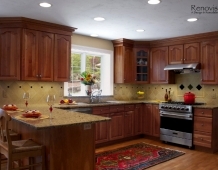 The owners love their newly remodeled spaces.